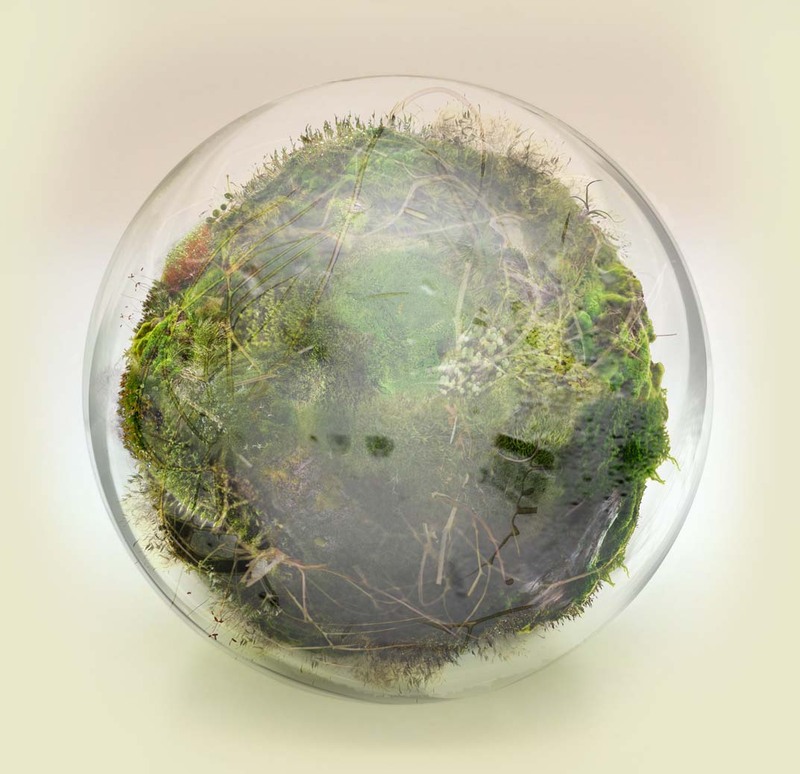 Terrasphere builds on the idea of terrariums, a form of miniature ecosystem for plants usually contained within glass containers. 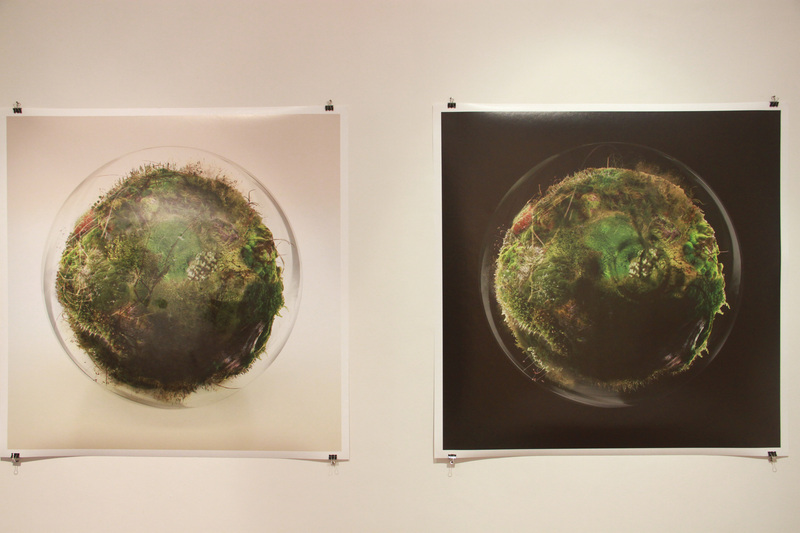 The work embraces concepts of biospheres and self-sustaining ecosystems evoking qualities of fragility and buoyancy. 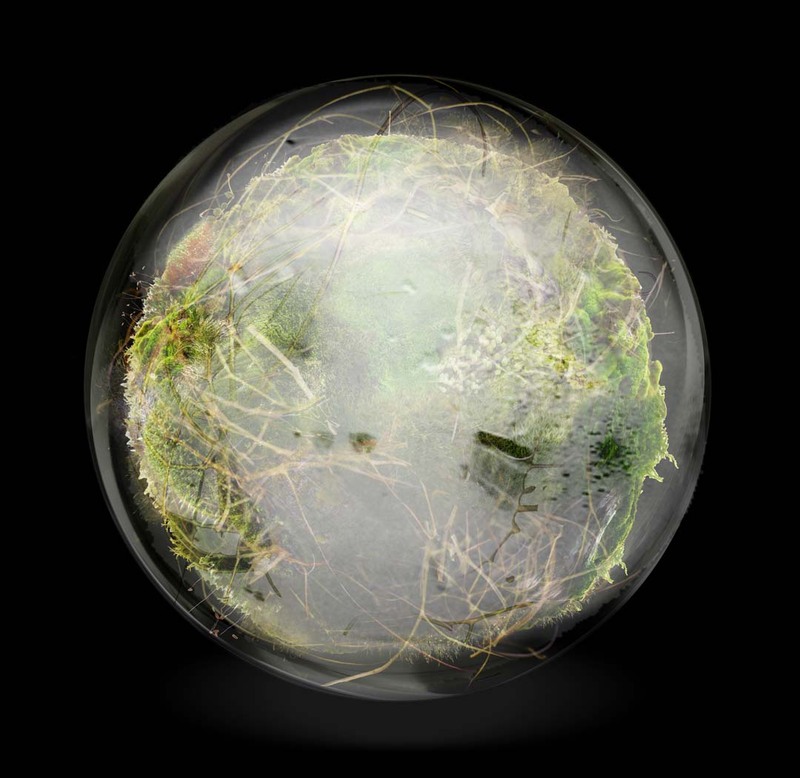 Constructed of 59 still images, this strange planet like body gradually shifts through dark and light, with each shift causing a change in various levels of moisture and the potential for growth. 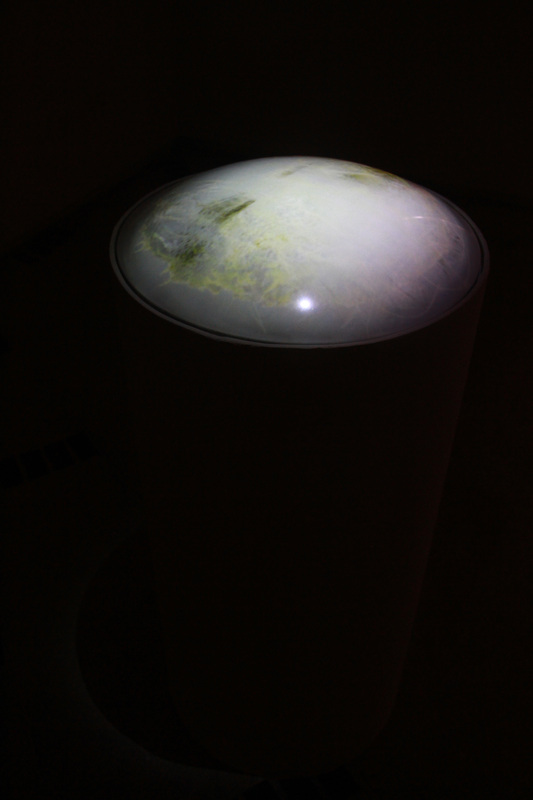 Conveying duality, Terrasphere also references an apparatus describing the movement of the Earth on its axis and around the Sun resulting in the seasons and day and night. 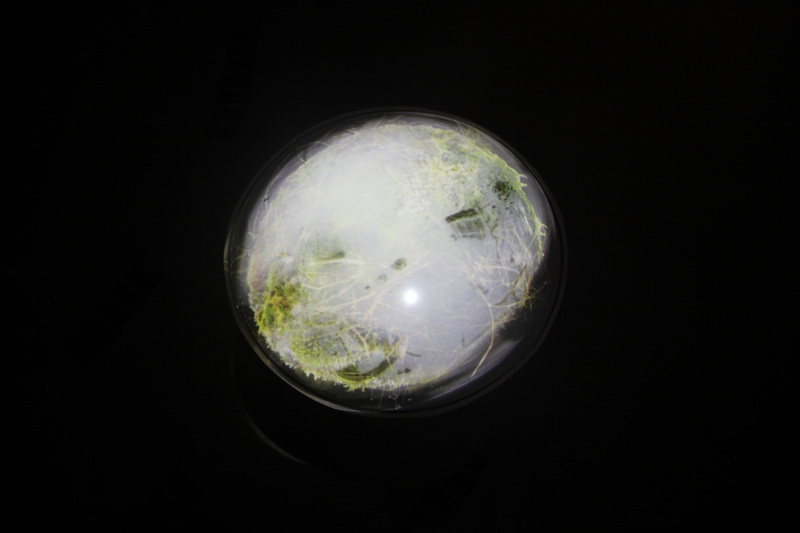 Also called the Tellurion, (after the Latin tellus, the earth) the three-dimensional model is used to demonstrate the movements of the earth and the moon. 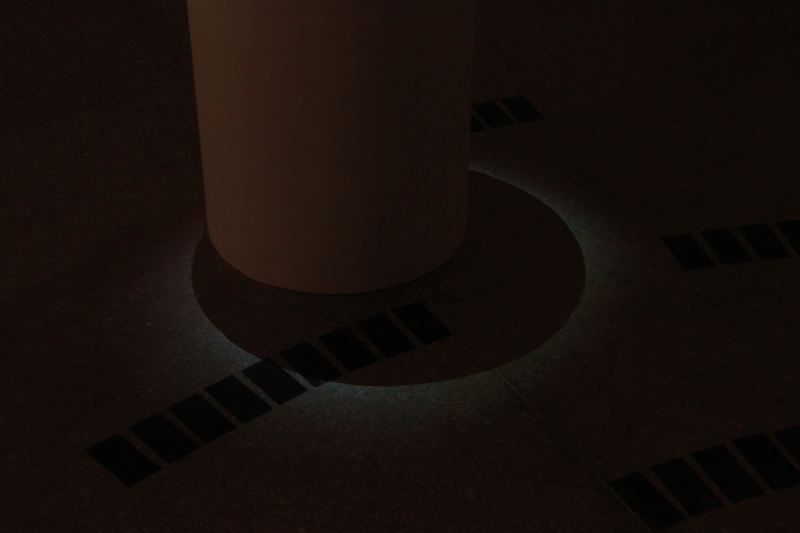 On a lever arm, those celestial bodies turn around a source of light, which is supposed to represent the sun. 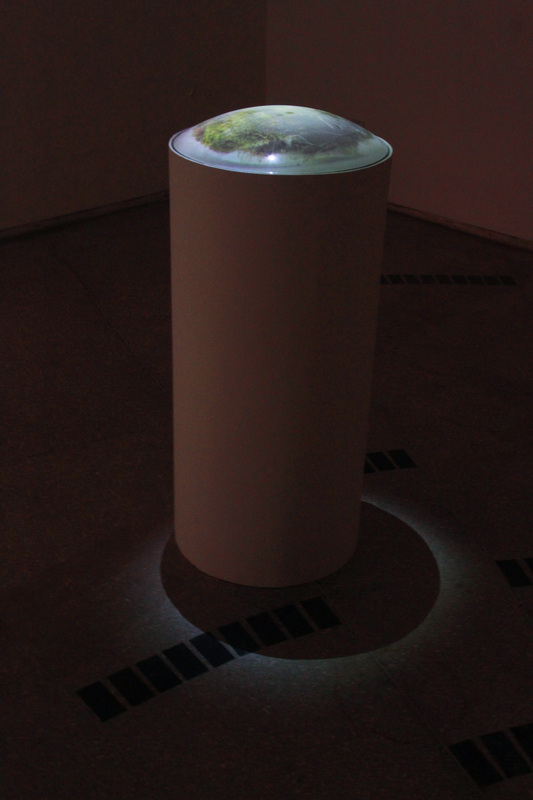 Terrasphere was produced during the Undivided Mind – Part I: a KHOJ Art and Science residency in collaboration with the City as a Spaceship Collective (CAAS) at the KHOJ Studios, New Delhi (February 2015).